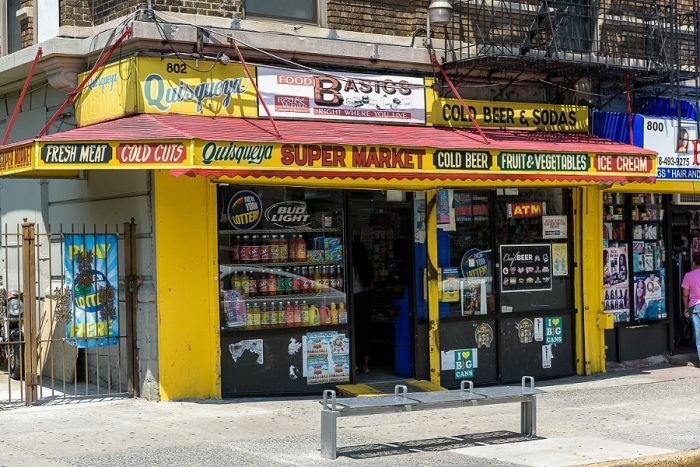 The word bodega is taken from the Spanish for warehouse or storeroom, but here in New York City, bodegas function more as small convenience stores selling everything from baby formula to bacon, egg and cheese sandwiches. In some neighborhoods where traditional grocery stores are scarce, they provide the only option for the staples you need in a pinch. No matter where you are, they’re almost always within walking distance and many are open late, if not 24/7. Although quality varies widely from place to place, below we’ve compiled our favorite bodega buys. 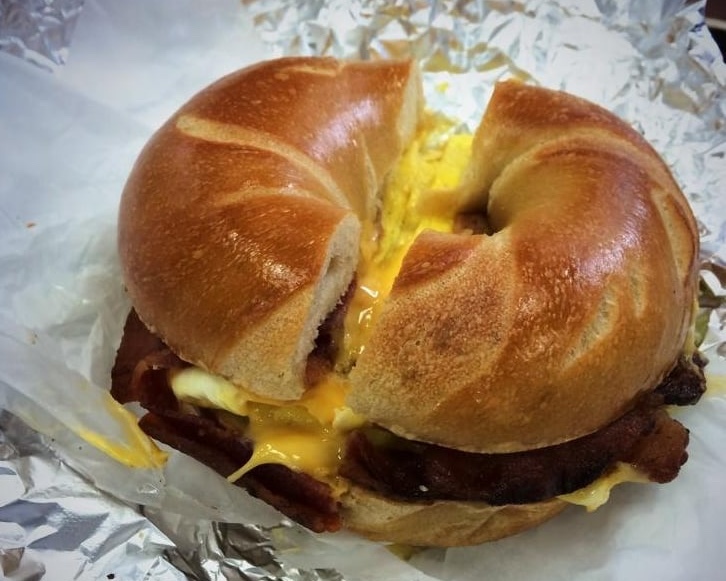 Bacon, egg and cheese is an NYC bodega standard. Options include hard roll, soft roll, bagel, toast, sausage, ham or turkey depending on your bodega of choice. Regardless of the combo you choose, there is no better, or cheaper way to ward off a nasty hangover than a breakfast sandwich from your favorite bodega. 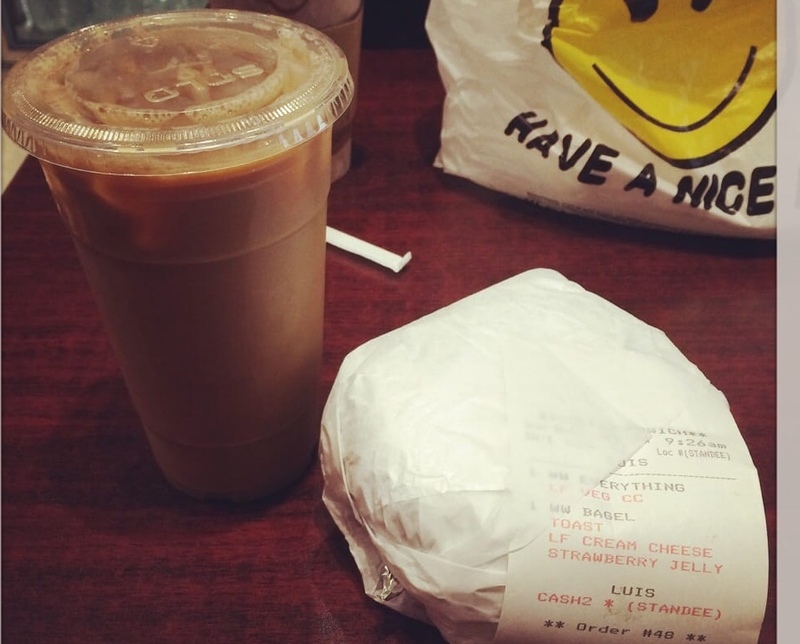 Since many bodegas are open late, you can even get a breakfast sandwich on your way home after a late night as a preventive measure. So many chips. 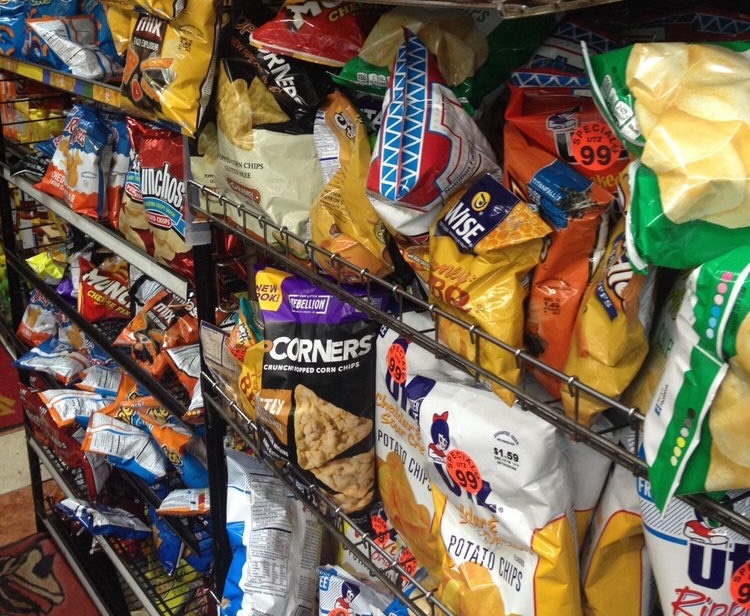 From cheese puffs and pork rinds to local fave Utz, the varieties of chips abound at bodegas. Choose from a big bag or your own individual bag. Many are priced for under a dollar, so hey – go ahead and splurge on two. Is that 66 or 99 cents? Either way, it’s a deal. Source: Serena A. via Yelp. 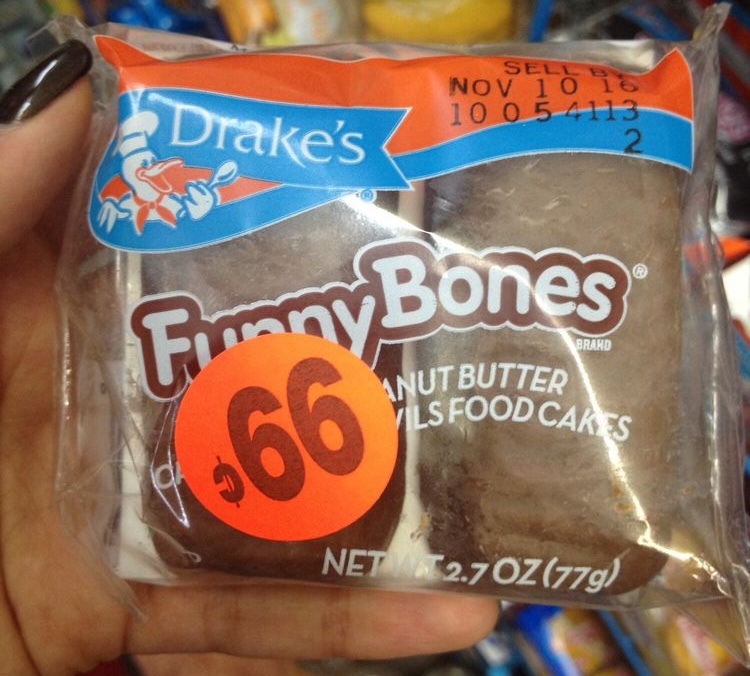 How long has it been since you’ve had a Drake’s Cake? Too long? Bodegas can help. From Drake’s Cakes to Honey Buns and Hostess cupcakes, your local bodega has all of your sugary vices covered. 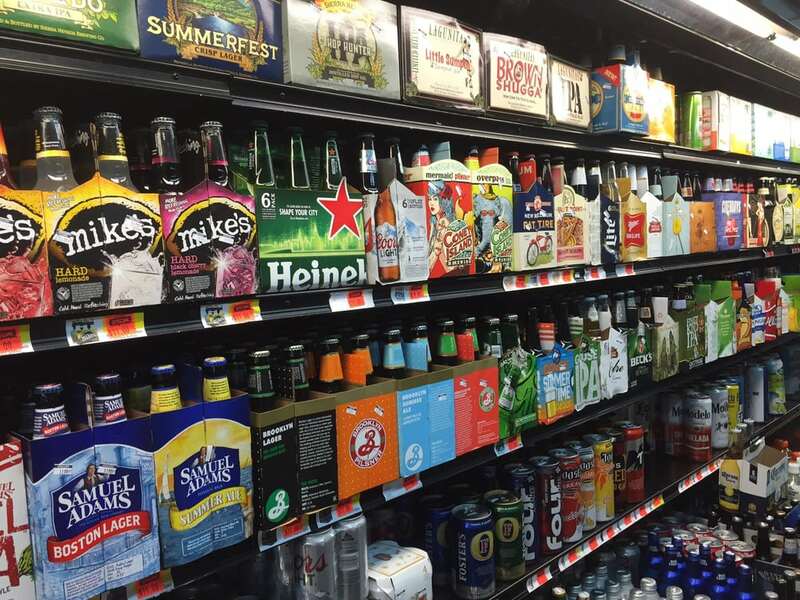 While liquor stores aren’t always conveniently located, you can certainly pick up brews at the bodega. Best of all you can mix and match your own six pack. It’s like a gold mine. 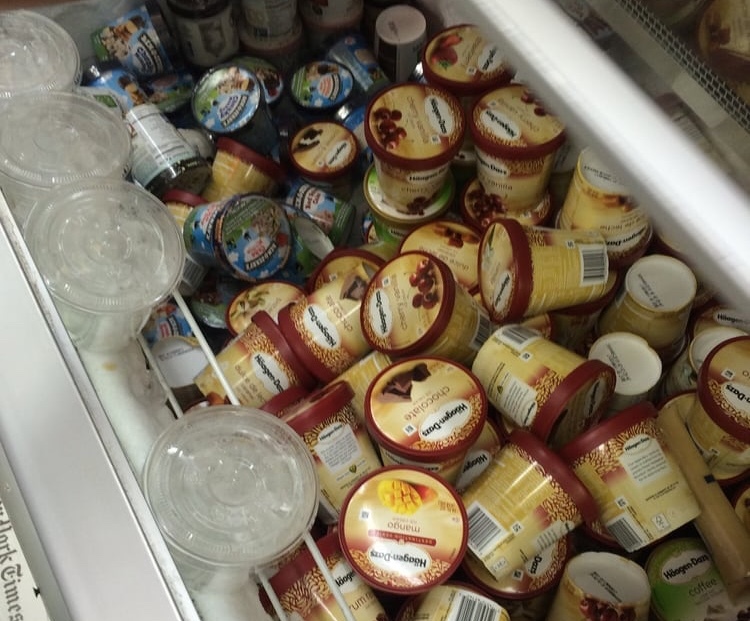 A mine of frozen, golden pints of ice cream. Source: Serena A via Yelp. You’d be hard pressed to find a bodega freezer without Haagen-Dazs in the bin. A match made in bodega heaven. Source: Carolyn T.
Get your caffeine fix for around $1.50 for small cup. The iced coffee is cheaper here too. Just don’t expected cold brew. 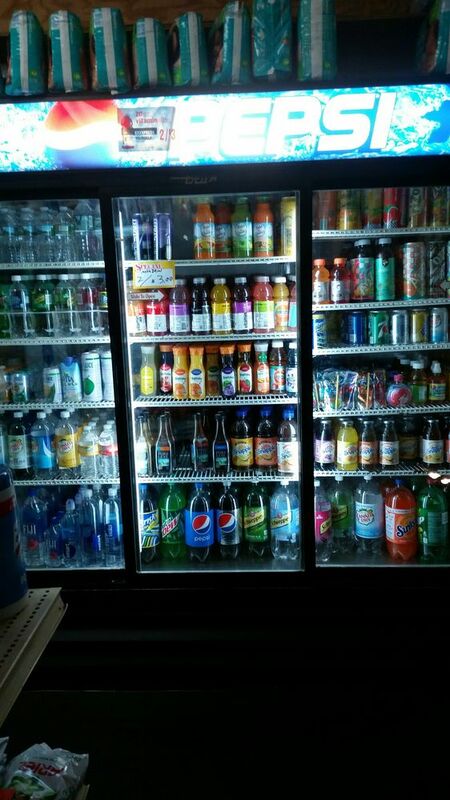 Can’t go wrong with endless flavors of 99-cent Arizona Iced Tea and quarter water. 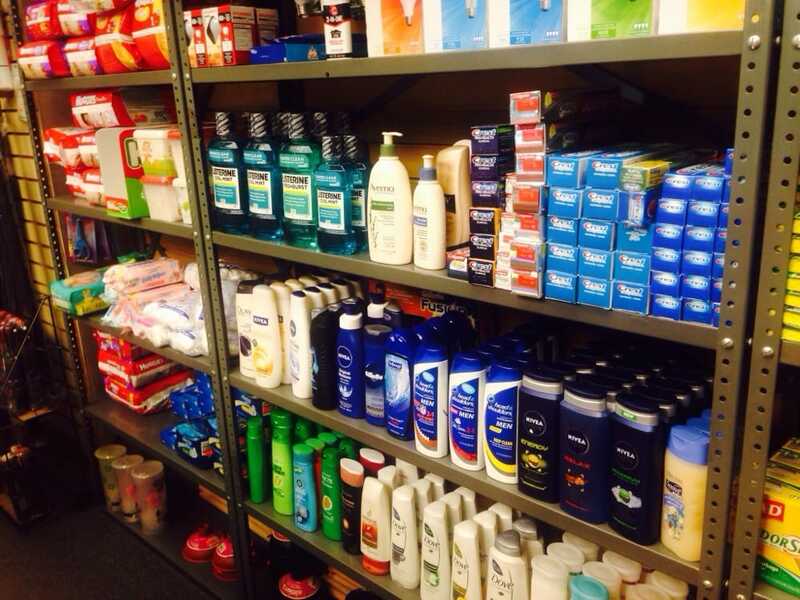 At bodegas, you can usually find cheap knock-off brand cleaning and personal hygiene products as well as low market version of brand name staples. Adulting can be challenging. Run out of toilet paper? Your local bodega has single rolls and small packs to tide you over. The quality of the items listed below vary widely from location to location. All bodegas are not created equal, so be sure to check expiration dates and that the items are sealed securely. Produce: Depending on location, your bodega may also operate as a small grocer with a produce section. Usually you can find basics like apples, bananas, tomatoes, potatoes, garlic, onions and my personal favorite, ripe avocados. That said, bodegas are not known for farm fresh produce so use your judgment when purchasing. Milk and eggs: Bodegas can be a good option when you only need a quart of milk and a half dozen eggs to make it through the week. Again you want to use your discretion here. 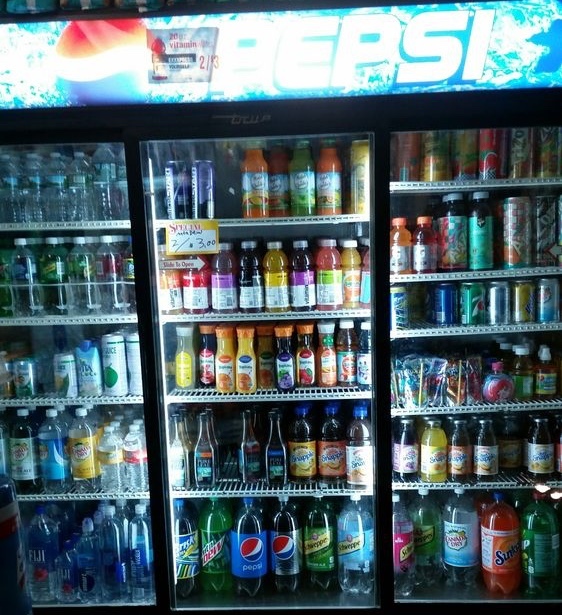 If your bodega makes most of its business selling chips and Lotto tickets and has a single refrigerator of cold items, you should shop for your dairy elsewhere. Non-perishables: Bodegas may sell pantry staples like rice, beans, pasta and other canned goods. 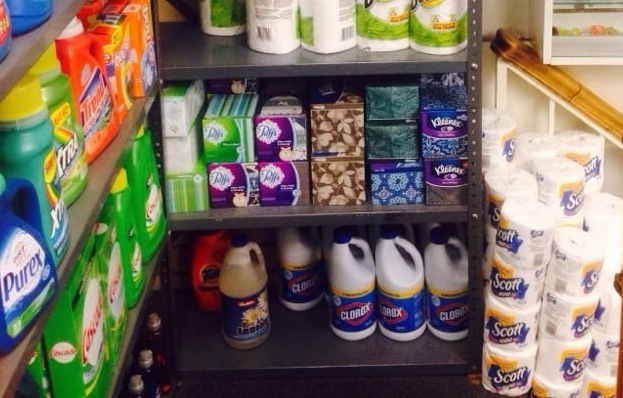 Be sure to check the expiration date, especially for items that are outside the typical bodega wheelhouse. It may seem like your lucky day when you stumble upon a box of brown rice on the shelf at your local bodega, but it will not be your lucky day when you get home and realize the brown rice box expired two year ago. Worse, if you open the box and find some unwanted visitors inside.